Mount: Square mount with teeth heels. Yoshichou Geta.Black and red laqured. 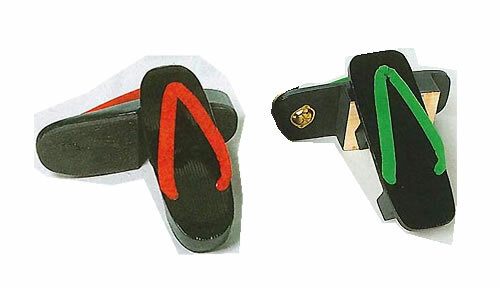 Thongs: High qualified Hanao thongs by Japanese artisan's hands. Black fabric x red fabric combination. This listing is special price as the mounts have some flaws. N.B. 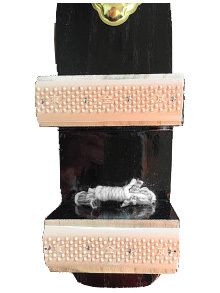 We are able to custom the tooth with rubbers. 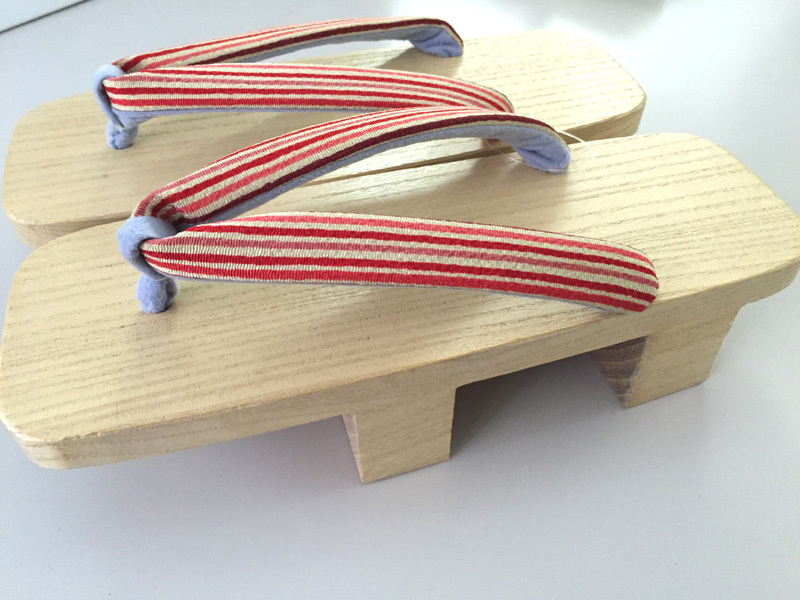 This will make your Geta live longer and so on. 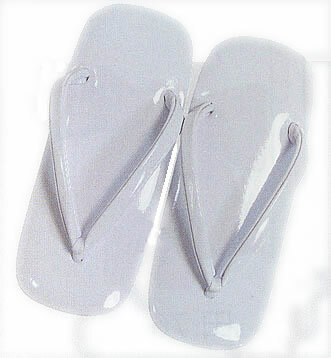 Rubber Attatchment Fee : 1400-yen/pair.Please select "TYPE 1" for the customs. In this case, please send the Geta to us. Postage for around are responsible for customers. Thank you.